--Go Skagit is reporting that, "Six fishers — medium-sized, furry carnivores — will be released into the North Cascades this morning near the visitor center in Newhalem. The stocky, dark brown critters are related to weasels and are about the size of a house cat. The release today within the North Cascades National Park Service Complex is the latest step in an ongoing effort to restore populations of the native carnivore to the state's forests, according to a news release from the National Park Service." To read more, click here. --In what feels like a never-ending war with those who would like to develop Blue Diamond Hill across the street from Red Rock Canyon National Conservation Area, conservationists and climbers have won the most recent battle. Save Red Rock is reporting that, "Clark County Commissioner, Susan Brager, today informed Save Red Rock that the Gypsum Resources development request will not be heard on tomorrow’s agenda. Susan Brager is the Commissioner over District F which includes the Red Rock Canyon area. 'We are so grateful to Commissioner Brager for listening to her constituents,' said Heather Fisher, President of Save Red Rock, adding, 'Thousands of phone calls and emails were sent to all the Commissioners asking them to keep their promises and protect Red Rock Canyon, and today Susan Brager said she would stand true to her word.'" To read more, click here. --Jumbo Rocks Campground in Joshua Tree National Park is now reservation only. This could be a very good thing for those planning road trips well in advance. 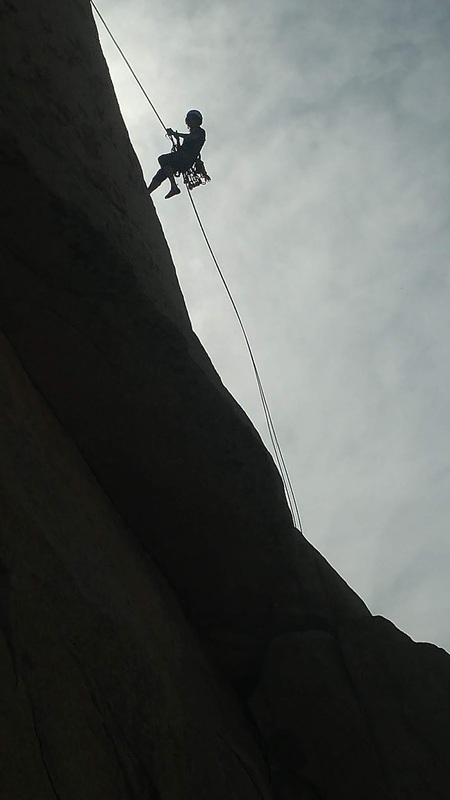 Historically, it's been hard to just show up in Joshua Tree during the high season and get a campsite. To read more, click here. --Between November 28th and December 2nd, there were 54 recorded avalanches in Colorado. To read more, click here. --The extremely popular Narrows Trail in Zion National Park is under threat. There is a dispute between the NPS and a private land owner about the trail. To read more, click here. --The Jackson Hole News and Guide is reporting that, "Five people caught in an in-bounds avalanche at Jackson Hole Mountain Resort on Saturday morning all survived the slide. At least one skier triggered the slide around 9:55 a.m. The avalanche’s crown was roughly 2 feet deep and 150 feet wide on the southern end of the Expert Chutes, resort spokesperson Anna Cole said." To read more, click here. --The Ithica Voice is reporting on two individuals that were lost in the New York State wilderness. "Two cross-country skiers were lost for several hours Saturday in Hammond Hill State Forest. As it grew dark and the weather changed, the skiers' situation became increasingly dangerous. While the two skiers were wandering and looking for help, more than 70 volunteers from dozens of local agencies were searching the forest and finally linked up with the women after nine hours." To read more, click here. --There were several avalanches in the Canadian Rockies and Selkirks over the last week. To read more, click here. 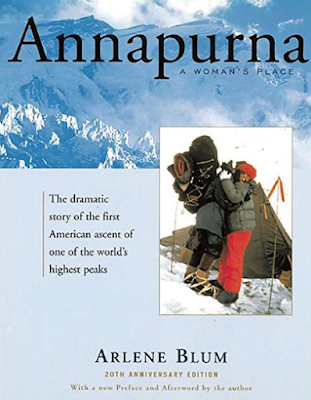 --Arlene Blum, a noted author, climber and expedition leader, has been accepted into the California Hall of Fame. To read more, click here. --The Calgary Herald is reporting that, "a world-renowned Alberta ski resort has been fined just over $2 million for cutting down endangered trees five years ago. Judge Heather Lamoureux has given Lake Louise resort in Banff National Park one year to pay the fine. The resort pleaded guilty last December to taking down a stand of trees, including 38 whitebark pine, along a ski run in 2013." To read more, click here. --There's a new drytool crag in the Canadian Rockies. To read more, click here. --Stone stacking is a thing. You see them all over: precariously balanced stone towers. They look cool, but they are not a good example of Leave No Trace. To read more, click here. --This is wild, it looks like you can rent ski apparel now. To read more, click here. --Wyoming Public Media is reporting that. The outdoor recreation industry makes up an important part of the Mountain West economy and it’s feeling relieved right now after President Trump and President Xi of China have agreed to pause their escalating trade wars for now. That pause is in effect for 90 days. It means products that would have been subjected to a tariff increase by the end of the year will now be spared, at least temporarily." To read more, click here.